New eBook : "Android, une fois"
Working in eReading and eBooks requires to know how it works. 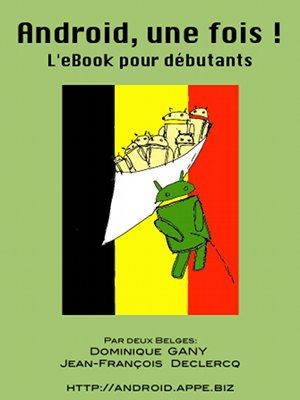 Let's walk the talk : I published with Dominique Gany an eBook on Amazon about using Android for the first time. Android is the preferred system for smartphones and tablets. Many people will get to know this system which can at times be a bit technical due to its geeky side. We explain the basics in the eBook. The eBook is in French and costs $6.9 on Amazon.com. We will look after new publishers and editors in Belgium and France in the coming months. We would like also to look for solutions to ease the installation of the eBook on new phones.